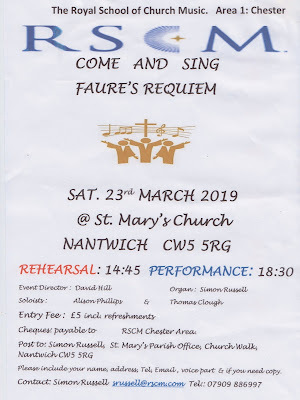 The Royal School of Church Music’s ‘Come and Sing Fauré’s Requiem’ annual come and sing event takes place this Saturday 23rd March 2019 (rehearsal 2:45pm, performance 6:30pm) at St Mary’s Church, Nantwich. 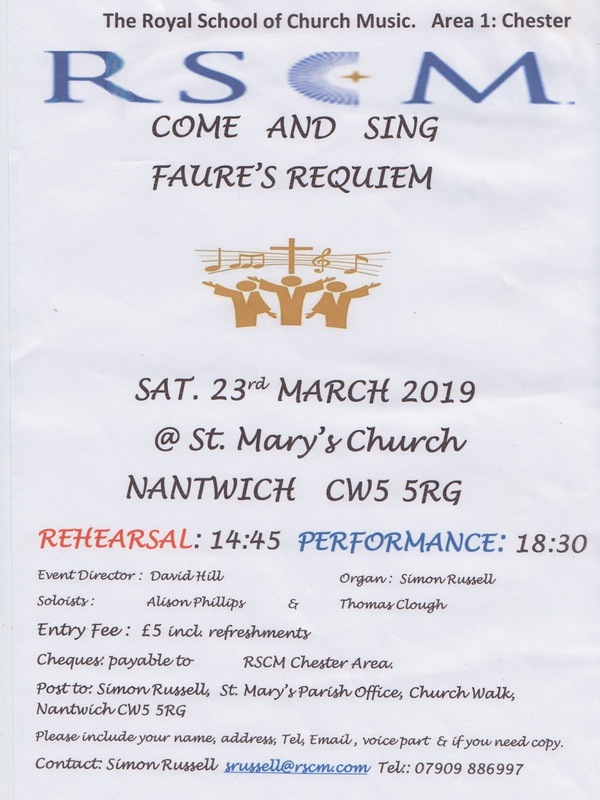 Event Director: David Hill, Soloists: Alison Phillips and Thomas Clough, and Organist: Simon Russell. Tickets = £5 including refreshments. For further information please contact Simon Russell via email: srussell@rscm.com or phone: 07909886997.